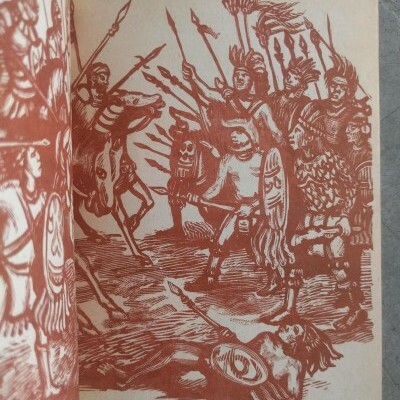 [Valcárcel, Gustavo and Adolfo Mexiac (Illustrator)]. 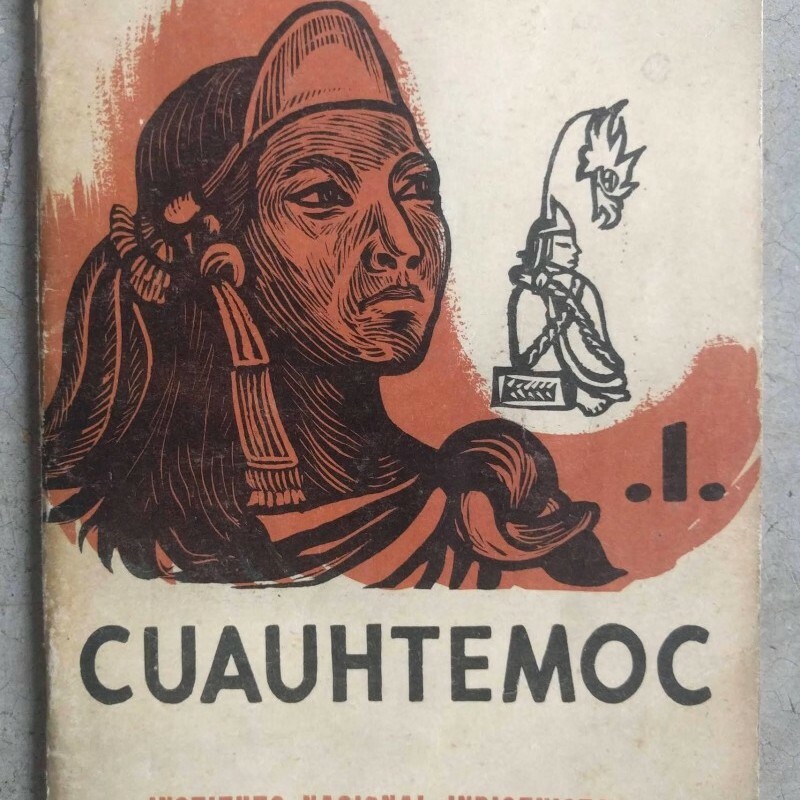 Cuauhtemoc: Serie Biografia, No. 1. México, D.F. 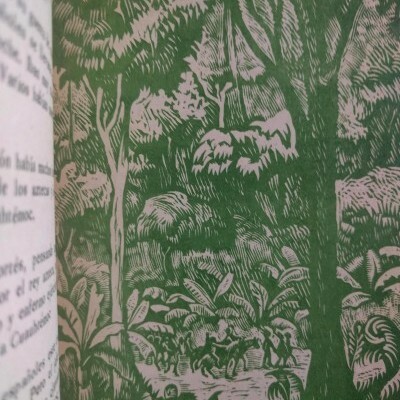 : Instituto Nacional Indigenista, 1956. Small 8vo, 48 pp. ; illus. 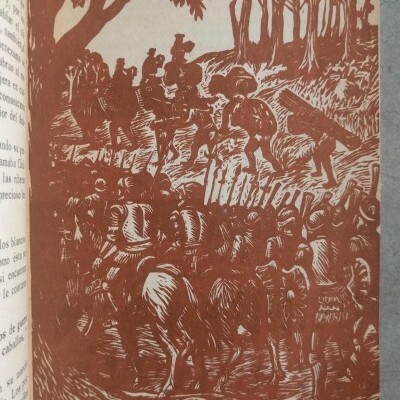 throughout from linocuts and drawings by Mexiac, lightly toned; orig. stapled pictorial wrapper, sl. worn. 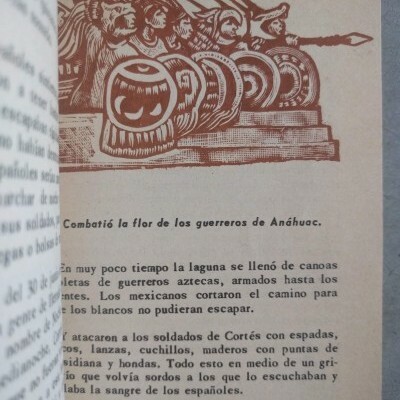 A condensed biography of the last Aztec Emperor with bold illustrations by Adolfo Mexiac. 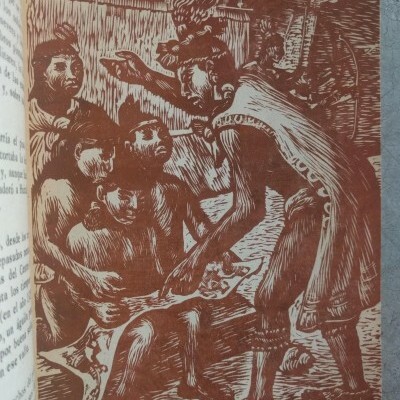 From an intended series of indigenous biographies of which only 2 vols. were seemingly published. OCLC identifies only two copies in US libraries.